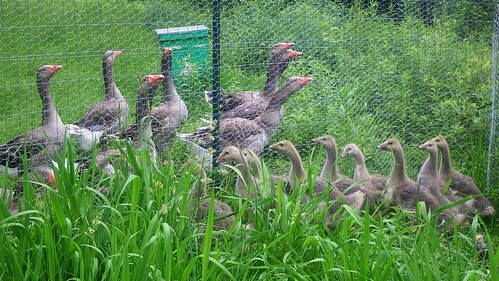 One of the hardest parts about moving was that so many of the geese were setting on eggs. It was just horrible to have to break up nests that were so close to hatching. I think I was as depressed about it as they were. They so love their babies, and they are such good parents! I can’t wait to see what they do here in Missouri. And I wonder when they will start laying? 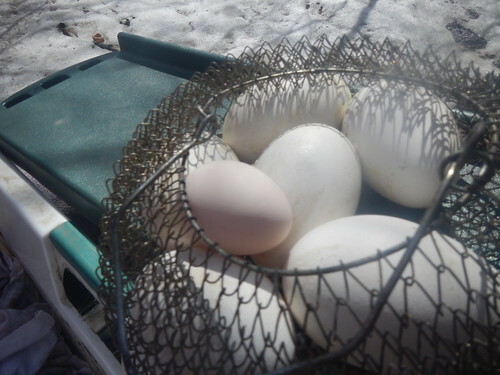 Up north, they’d start laying way too early for any to be viable, so I would collect eggs for most of March and April, and I had a really good market for goose eggs. I’d let them start setting in May, mostly because although there was often snow on the ground still, it would become dangerous for me to collect eggs anymore, because they were determined to hatch those babies! We wouldn’t really get green grass until June anyway, so that timing was really good. I haven’t a clue what it’s going to be like here, but I’m eager to find out. I’m thinking about it a lot these days because they are suddenly really, really noisy, fussing and not exactly fighting, but lots of harassing going on, like they usually do when they are starting to get into mating season. I wonder if they are as confused about the weather as I am! It was 60 degrees today, and it’s December! 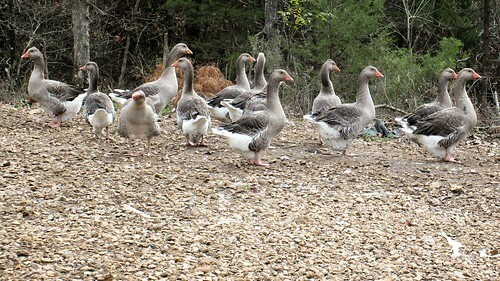 I’ve had my flock of geese for almost 8 years now. I just adore them. This entry was posted in Geese. Bookmark the permalink. Post a comment or leave a trackback: Trackback URL.